The Best Seafood restaurant in Dubrovnik and area – who else than BOWA! Although the best part of the autumn touristic offer in southern Croatia occurs in Dubrovnik. Since the town and its heritage really are the main attraction for tourists from all over the world, but you know that, sometimes, if you want something more, something better and bigger, you’ll probably need to try a bit harder. For example, if you came on the Dalmatian coast to get to know the area and its traditions, logically, you will want to try some authentic seafood. City of Dubrovnik and it’s restaurants will definitely help you try it, but for the best seafood experience, it would be best to seek one particular pearl, not in town but on Sipan Island. 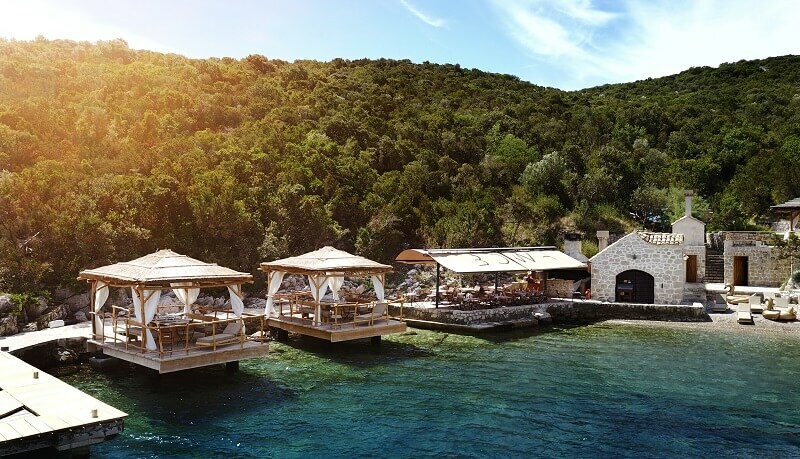 Restaurant BOWA is situated in the peaceful bay, on one of the most popular Elaphiti islands, the Sipan Island, and, as far as Trip Advisor’s customers think, that is the place with the best seafood in whole Dubrovnik area! With our passion for food, for sea, for local groceries and old recipes, borrowed from family inheritagge, that is the biggest true, because we in BOWA really trying hard. Not to bring our guests a tasteful meal, but to present them an essential Mediterranean gastronomic story. Simple, but always on our way. This is what makes us a unique place where our guest can spend leisure time enjoying a long-lasting meal, chosen and recommended from the daily catch of fresh fish, hand-picked vegetables, domestic fruit from our garden, and home-made Sipan island olive oil. You can call our food mission to evoke nostalgic times. It would be fact closest to the truth, because that is exactly what we want to offer, rich, fresh tastes, simple philosophy, grandpa’s recipes and just a bit of modern times with our creative way of presenting it. Let your senses go wild at BOWA restaurant.